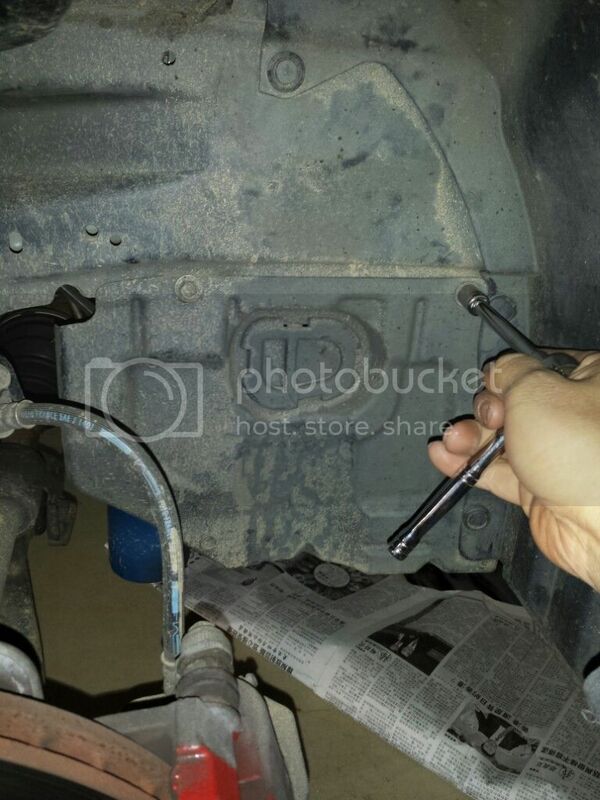 Noob Guide to locate Oil temp sensor plug for Oil Temp Gauge installation. This simple guide is based on my personal experience, everyone feel free to add in for more info. I will not responsible of any damage done to your oil plug threads or your car. it's your own risk. 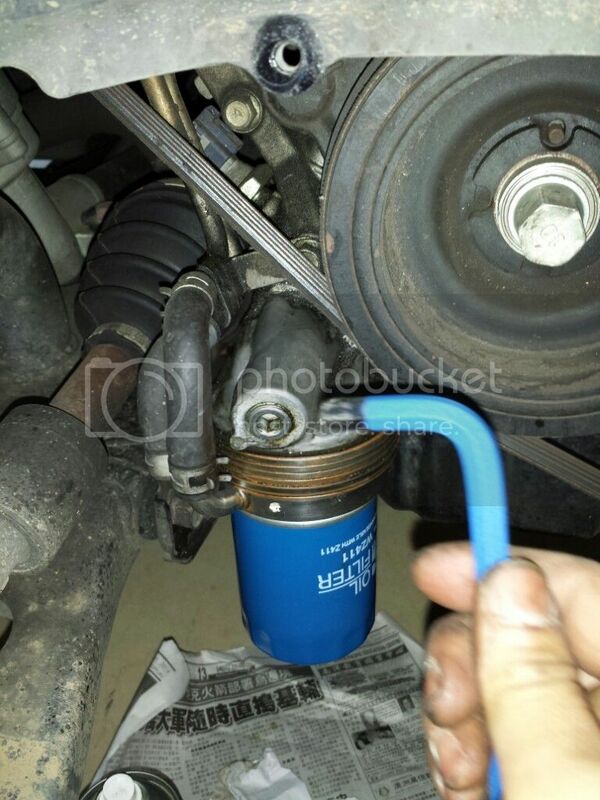 - Don't put to much torque to thighten the brass fitting to the stock oil adaptor threads. 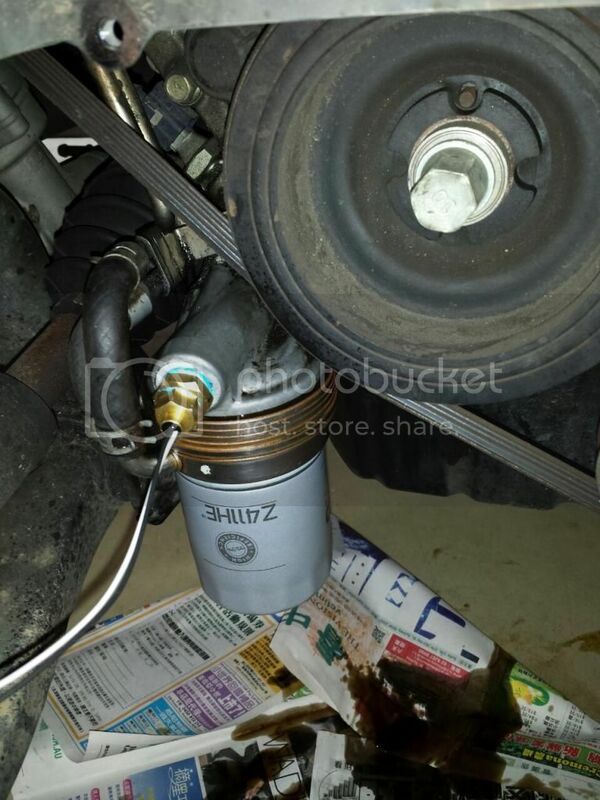 - Test it by running the engine for awhile or go around the block and see any leaks. Universal aftermarket Oil sensor and 3/8 BSPT to 1/8 NPT reducing Bush (not neccessary made of brass). 1. when you are about to change your oil this is the right time to do it. 2. Open your front wheel driver side. 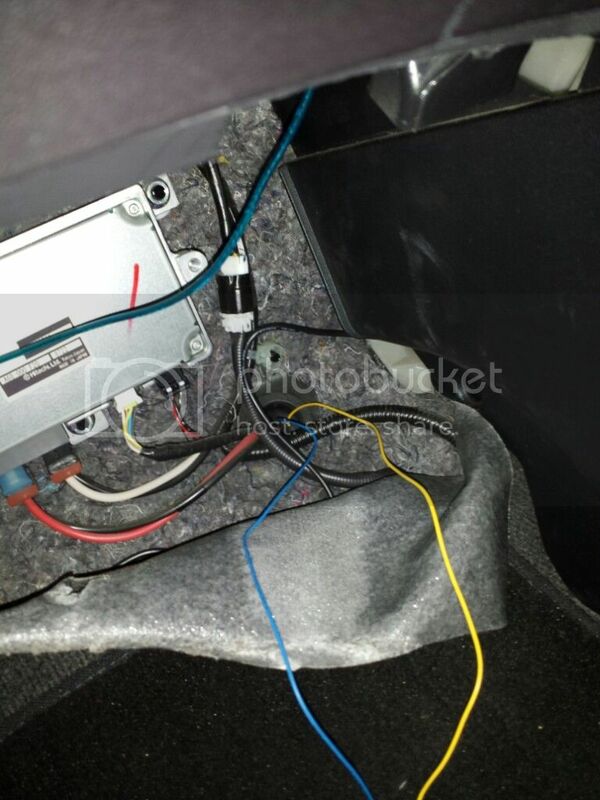 3. there is small pannel with 2 bolt (10mm socket wrench) + 2 plastic clips. You will see stock bung/blanking, undo it with 8mm allen key, is really hard to open it because there was loctite glue holding it. feel free to use diff method as long as it safe.. i use torque wrench to bust it. 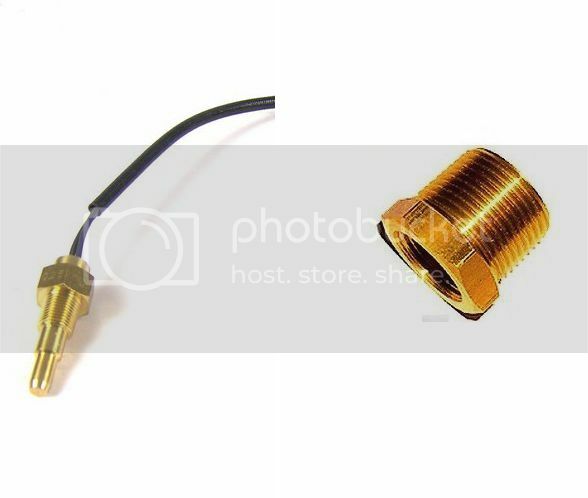 Now plug your Bush adaptor to the hole, make sure the thread is free by the loctite traces/debris, by screw in and unscrew it 1-2 times.. and wipe the threads clean. Run the cables away from timing belts towards cars front stabilizer bar and zip tie together with wires running to the passenger side. Go to your passenger side and open silver box at passenger footrest and open the carpet by removing single plastic clip. Then undo 3 bolts holding cover plate of 2nd ECU box. Open it and you will see there will be a rubber grommets next to it. use this grommets to run the cable from the bottom of the car. poke to it with screwdriver (be careful if you use razor blade cuz it will accidentally cut another cable next to it. i assumed all of you know how to do it.. because every gauges got different cables...so just follow your gauges manual for each cables requirements. Last edited by sliders7; 09-07-2014, 07:52 PM.